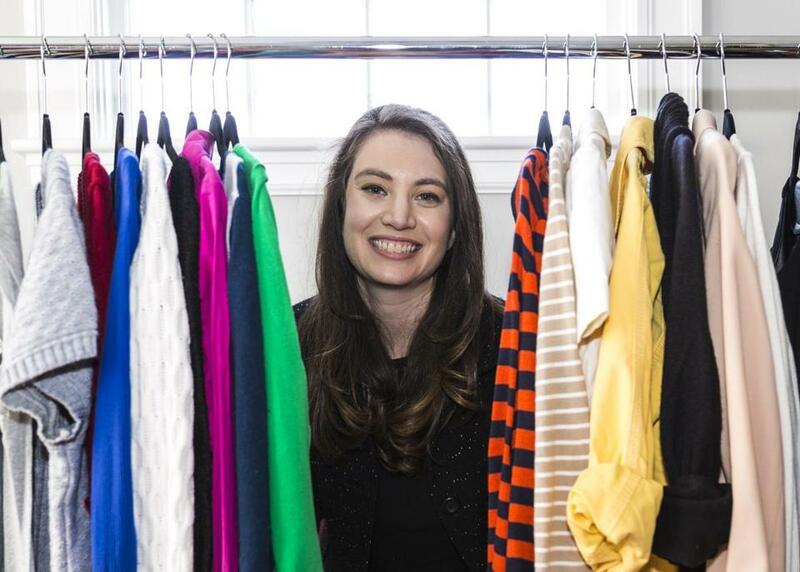 “Style more and learn more is our motto,” says Stefanie Johnson of her SwapIt boutique in Davis Square. Imagine you have access to a large walk-in closet, seamlessly organized by color and garment, tended by a friendly stylist. Now imagine you could gather up all of your unwanted clothes — the ill-fitting, the never-worn — and offload them to that same friendly stylist, to be whisked away and given to someone who might actually enjoy them. It’s a reality at Davis Square’s new SwapIt (67 Holland St., Somerville). The boutique isn’t a thrift store. It’s not a consignment shop. It’s a clothing swap, where customers can unload their unwanted women’s items (everything except underwear, bras, and socks) and shop for repurposed ones. Everything is $15 and under, and unlike many thrift stores, the inventory is well-organized and curated. “When you walk in, it feels like a boutique. We’re not overstocked or overstuffed. We’re into thinking before you purchase: Style more and learn more is our motto,” says owner Stefanie Johnson, who ran a personal styling company before opening the store. She’s assisted by stylist Sara Baker, who’s worked in the trenches of Ann Taylor and TJ Maxx. “First and foremost, our customers seem to hate shopping. We help people mix and match,” she says. “We talk to customers about how they want to feel versus where they’re going [when they wear the clothes],” she says. SwapIt offers three services. There’s “supported shopping,” where a mere $1 gets you 25 minutes with a stylist. Purchase whatever you like a la carte. A signature styling service lasts 45 minutes and includes five clothing items. Avid shoppers can opt for a $50 monthly membership, which includes unlimited shopping in exchange for 20 clothing items per year. Or simply drop off your wares and hope they find a happy home. Johnson became interested in waste reduction after completing a Jewish Greening Fellowship in New York City, focusing on environmental health and sustainability. She hopes that women bring their unwanted clothing to her instead of tossing it, noting that Americans unload 70 pounds of textile waste per person per year. In that eco-friendly spirit, she’ll host a grand opening party on Earth Day, April 22, including a mom-and-kid event in the afternoon with games and refreshments (2-4 p.m.) and a girls’ night out party with styling and refreshments (6-8 p.m.). And don’t forget to bring your castoffs. “We take everything. We want to have clothing not end up in landfills, and part of that is accepting whatever people will bring,” says Johnson.